Ramblin' Boots brings country music to the right level. The level country music deserves. With thrilling vocal harmony, crazy pedal steel guitar parts and nimbly fiddle-licks country music comes alive. 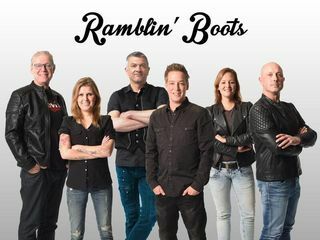 The main words are passion and versatility, so Ramblin' Boots will fit on every country festival or event and will take care of the right musical addition. 26.4.2019 · 18.00 Uhr · Eintritt frei! 15.8.2019 · 18.00 Uhr · Eintritt frei!